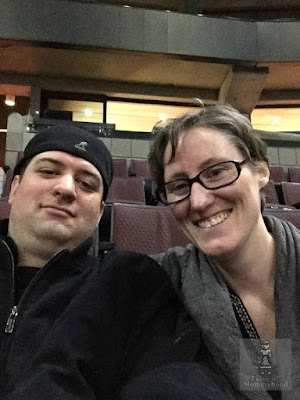 The Great Canadian Blog Bash (TGCBB) is here! Brought to you by Whispered Inspirations, Positively Pampered Patty, Kats Confessions, Mom vs. the Boys and Good Girl Gone Green - I am teaming up with them and a great group of bloggers to help celebrate Canada, our awesome country, in a BIG way! Each blog is celebrating Canada Day - and there are lots of great giveaways going on - open only to CANADIANS! TGCBB will run from June 25 - July 1 - that gives you a week to hop around the different blogs, find out some Canadian facts and enter all of the great contests going on! As a family, we host a bbq for our friends every year. It started off our first Canada Day living in this house, and has continued as an annual tradition. Over the years, the party has changed - what used to start in the evening and continue to the wee hours of the morning has now evolved into an afternoon get together and bbq, with most of our friends heading home between 8 and 10pm - things change when everyone starts having families - and of course we want the kiddo's to get in on the celebrations! Canada Day 2011 - hubby ready for a party! And now - onto the prize! 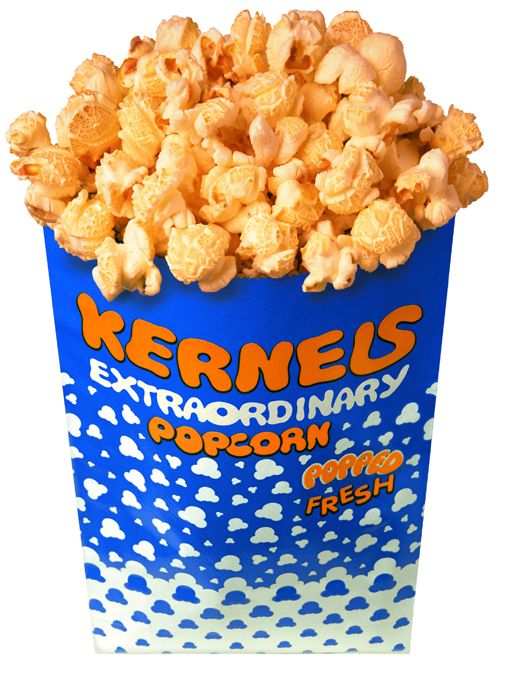 Kernels Popcorn has generously donated a $30.00 virtual gift card for one of MY readers. That means that YOU (well, all the Canadian YOU) have the chance to win it! Just use the rafflecopter form below to get your entries in - and remember, it is only open to Canadians (check out the Kernels Sponsor Spotlight)! We spend Canada day outside, in the sun and then enjoy some fireworks at night. We have an annual bbq and pool party. Heading to the beach and having a BBQ with the family! We spend Canada Day watching parades and fireworks. There are lots of shows nearby so we have lots of options to choose from! I always spend Canada Day outside with friends and family! this year we will be building a fence! Our community has a whole weekend of fun and we try to get to the parade and the pancake breakfast. For the past few years (and weather permitting we will again this year) go out to Banff and hang out there for the day. They have a bunch of stuff going on there. We celebrate Canada Day by having a neighbourhood barbeque! Usually at community celebrations on Canada Day. Fireworks are great! This year I think we'll do a picnic and take our daughter to see the fireworks. We go to our local festivities and then our town has fireworks! Going to see the fireworks! We go to a friends place and they have swimming, fireworks, a live band and tons of people. We look forward to it every year. 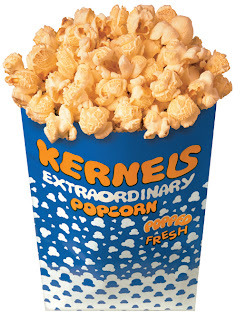 Great giveaway, I LOVE Kernels popcorn! I follow you via GFC (Journeysof TheZoo). We always attend our city's celebrations. Our family goes up to our trailer for Canada Day! We celebrate Canada at our community event. This year, we are having a barbeque for family and friends. I am going to make a Canada cake for dessert. We go to the fireworks. We're driving to Ottawa to celebrate in the capital. BB-Q and fireworks on TV. Usually we celebrate with a bbq! For as long as I can remember, my mom's side of the family has held a reunion on July 1. Spending the afternoon at park, then waiting till dark for the fireworks. We celebrate Canada Day by having a cookout. We go to Jasper National Park for their celebrations every year! isn't it funny how parties change as we get older! lol we like to go the city to take in the parade! Fireworks & family time! DS turns ONE! YAY! BBQ and fireworks of course! I just relax and take it easy. I love taking it easy and just enjoying the day quietly. We usually end up at the inlaws having burgers, bonfire, and fireworks! Watching the fireworks with friends probably screaming alot. Hehe. We celebrate with a family & friends barbecue. We go to our local fairgrounds for some town fun and then fireworks. Probably BBQ and pool fun with my cousins. We are celebrating a birthday with a BB-q, and then fireworks! we go to the fireworks the night before, then the parade and whatever activities for the little one!! then a bbq. parade, fireworks and fun with friends! visiting our local parks that have events going on all day! this year I'm going to go to a street festival and maybe keep my 4 year old up to watch the fireworks! Usually staying at home. Hoping for a BBQ this year. Normally we have a bbq, make smores and just enjoy each other! Thanks so much for participating in TGCBB, we are very happy you took part! And MMMMMM I love Kernels Popcorn! I will be spending the day with my family and working at night. I am staying home, letting the kids flop around in their pool and eating tonnes of ice cream! We celebrate simply by being awesome! This year we will likely go down to the river and spend time at the cabin! We have a nice family get together, supper, a Canadian dessert, then if the weather is nice, we have a fire and make smores, or we got to the fireworks. Whatever we do we always have a nice time. Thanks for joining #TGCBB! We usually join the Canada Day celebrations in Wascana Park in Regina, SK. This year, we are going to Moose Jaw for a 10 km race I am doing..then a pancake breakfast afterward and checking out whatever else is happening in Moose Jaw tomorrow. We usually spend Canada Day with a picnic in the park or BBQ. We don't normally tend to do anything special right on Canada Day. We usually just hang around the house and maybe watch some fireworks later. we go down to the marina for live music and yummy fatty treats for the whole after noon till night time then we watch some fire works! I celebrate by watching fireworks! Have to say great giveaway hun! Love the pic of you and your babe, so sweet. Stopping in from TGCBB!